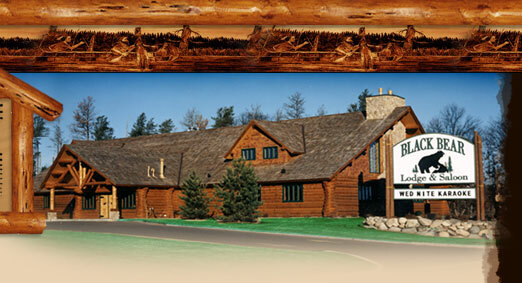 Enjoy north woods atmosphere in our award winning, authentic log restaurant. We offer casual, full service dining featuring Prime Rib, walleye, steaks, pasta, burgers and sandwiches. Our dining room boasts a massive stone fireplace and handmade wood furniture. It is the perfect setting for a romantic dinner or special occasion. The saloon is a great place to kick back, enjoy a cold beer and watch a game. 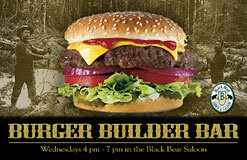 Black Bear Lodge and Saloon offers something for everyone's appetite! Open daily year round for lunch and dinner. Reservations accepted. with our builder bar of toppings! One burger for $7 or two for $12! 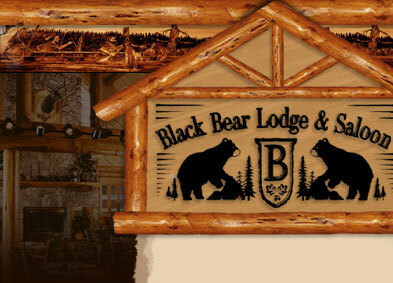 Black Bear Lodge & Saloon is on Facebook! 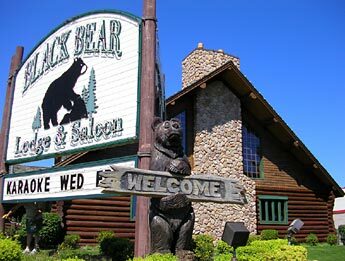 Become a Fan to stay connected with the latest news, specials and events at Black Bear! Check out our facebook page now!